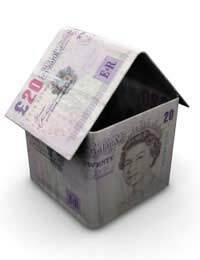 Home > Ask Our Experts > Can You Use Redundancy Money to Pay Off Mortgage? Can you pay off your mortgage with redundancy money and then claim benefits? Without wishing to sound terribly unhelpful, the answer to this is ‘probably no’. I say ‘probably’ because it depends on your circumstances, as most benefit-related issues do. The circumstance in which you may be able to claim benefits after using your redundancy money to pay off your mortgage is mainly related to if you were in mortgage arrears prior to being made redundant. The number of dependants you have also affect the situation. Do be aware that the current economic climate is affecting large number of people, with greater levels of unemployment than has been seen in the UK since the 1970s. This means that much of the advice and official schemes that may have been in place up until now are being ‘rewritten on the hoof’ as more people are making claims, with personal circumstances that do not fit into previously-determined boxes. What remains true, however, is that there is plenty of advice available. What you must do is ask for it – there is nothing worse than hiding your head in the sand and getting you and your family into a worse financial situation than you need. You have not mentioned if you have another job or are actively looking, but it is worth bearing in mind that there are many means-tested benefits available. Alongside job seekers allowance, there is council tax benefit, free school meals, NHS prescription help and many others. If you have been claiming working tax benefit, this will stop within four weeks of stopping work, although you may then be entitled to child tax credits. There is also a mortgage help benefit called the ‘private or public sector mortgage rescue scheme’ which may help you to understand what you can do with your redundancy money – this is where the being in arrears part comes in. Go along to your local citizens’ advice bureau to ask about what you would be entitled to depending on how much redundancy money you are given and your current financial and family situation. You may also wish to get independent financial advice, which the CAB can help you with, too. Me again. My redundancy payment is estimated at circa 40k. Am I right in thinking I wouldn't get any benefits anyway with this in the bank so what would be the problem with paying my mortgage off? What would be the worse that could happen? Would they stop me getting benefits that I can't get anyway? Who should I talk to? Confused. I have been told my job is at risk or being made redundant. They have informed me of the payment I will receive. I actually have enough in my bank now to pay off my mortgage. Should I pay it off with my savings now before I am actually made redundant? If your job is only 'at risk' of being made redundant, then you may wish to consider your options if you pay the mortgage off with your savings and you don''t get made redundant. If you are contemplating whether this may affect your ability to recieve means-tested benefits, then a benefits adviser can still view you paying off your mortgage before redundancy as a deprivation of capital. Hi you say in redundancy it is the role not the person who is being made redundant, it is allowed to replace a employee who has been made redundant with volunteers to do their job? Am I able to make an unqualified accounts assistant redundant and replace them with a qualified person. In redundancy situations, it is the role, not the person who is made redundant. For a redundancy to be genuine, you must demonstrate that the employee’s job will no longer exist, please see gov.uk here. Is it legal for my employer to refuse to pay the PILON element of my severance package into my company pension scheme as an AVC?